Actor Rahul Bose has returned to direction with 'Poorna' 16 years after. 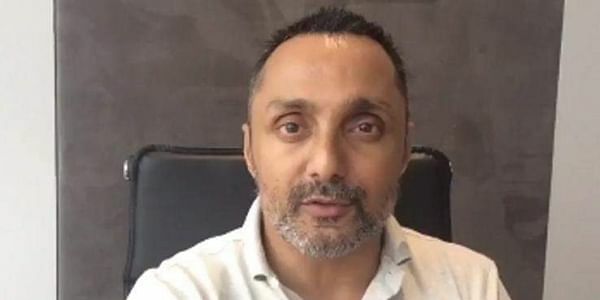 MUMBAI: Actor Rahul Bose, who has returned to direction with "Poorna" 16 years after he helmed "Everybody Says I'm Fine", finds it more fulfilling to go behind the camera than face one. Q. What prompted you to return to direction? After I directed "Everybody Says I Am Fine" (ESIF), I knew I would return to direction one day. I said then and I say now, the direction is more fulfilling than acting for obvious reasons -- primary being it's your story as opposed to someone else's. For the next 14 years after ESIF, there was too much acting work that was engrossing and enriching. In 2015, the quality of offers declined and so I jumped at the opportunity to start directing the next film. And here I am with 'Poorna'. Q. How did you end up acting in and directing "Poorna"? I was offered the role of Dr R.S. Praveen Kumar, this quite exceptional senior IPS officer who is in charge of the social welfare schools in Telangana. I was so struck by the story that I offered to produce it, raised the money in four months, and then decided to direct it too. It was an incremental sort of growing into the project so to speak. Q. Was it difficult getting the girl to play Poorna. How much training did she have to undergo and what was your rapport with her like? It was very difficult to get the right Poorna. When people see the film, they will realise she carries the film. So there was no 'shielding' of Poorna possible. I was very clear. Between casting an actor and casting a climber, I would always opt for the former. You can teach an actor to climb, you cannot teach a climber, or for that matter anyone to act. By that, I mean act really well. So we looked at over 500 girls in Telangana from the social welfare schools. Then we shortlisted 109 girls. Some of them were decently talented but none with the mix of sensitivity, intuition, resilience under pressure and high emotional intelligence that I was looking for. By then my casting director, Mayank, and his assistant were totally burnt out. We found that in the 110th girl we saw. Q. The girl who plays Poorna seems pitch-perfect? Aditi Inamdar is a natural born actress in the mode of Shabana (Azmi), Tabu and Koko (Konkona Sen Sharma). She is extremely shy but her emotional acuity, her ability to understand, feel and reproduce complex human emotions is extraordinary. She has discipline, pride and a delightful heart to boot. Our relationship was as would be expected: stern yet loving 'father' to his daughter. Look, I have dedicated my Foundation to children. Whether its kids from the Andamans, Kashmir and Manipur that we have taken under our wing for the last 11 years, or (quite apart from the Andamans-Kashmir-Manipur intiiative), survivors of child sexual abuse. To say I love children isn't accurate enough. I love, understand and will shed my blood to preserve their childhood, nurture their hope and help realise their dreams. So, my relationship with Aditi can be imagined by you. It was warm, full of love, empathy and compassion. But I was a hard taskmaster. Yet, ours is the only film where there was a child actor charter voluntarily drafted by me and my company. Every child I have had a deep interaction with lives in my heart forever. Aditi is no different. Q. There hasn't been any significant film on mountain climbing, let alone climbing the Everest. Do you feel this is area of activity that needs more attention in cinema and in the wider context? No, not really. Locales should serve the vision and conception of the director. I just happen to be a Himalayan boy. We've had a house in Kasauli since 1947, so I grew up in the Himalayas. I've trekked till 17000 ft, done Uttarkashi, Sikkim, the hills around Kasauli, so for me this film was a win-win-win: mountains, sport, the girl child and a cinematically phenomenal story. Q. Nowadays we hardly see you on on screen? Have you consciously cut down on your acting assignments to focus on your other passion, rugby? It's pretty simple. My acting career has slowed down over the last four years. There are three factors behind this -- age, the emergence of a new, gritty rural/urban poor centric cinema that I am perceived not being suitable for (clearly none of them have seen 'The Japanese Wife') and roles that I am being offered are in films that are half-written. At this point in my career, I want every single piece of work to be a major leading character, have incredible heft and nuance and give me space. If not, I am not interested. I did 'Dil Dhadakne Do' because I wanted to work with Zoya Akhtar. As simple as that. She's terrific and she directed me superbly. If she asked me again, I might break my rules again.